I don’t know about you but I LOVE to read. There is evidence of this in my house in almost every room. Well actually now that I think about it… probably every room but the kitchen! My biggest hope has been to pass this love of reading down to my children. We have lots of books for them to read, and we read to them often. I have a picture memory of walking into my girls room and opening the curtain to find they had set up their own little library bookshelf on their windowsill! It was so cute! And I was positive I had a picture of it, that’s how vivid this memory is. 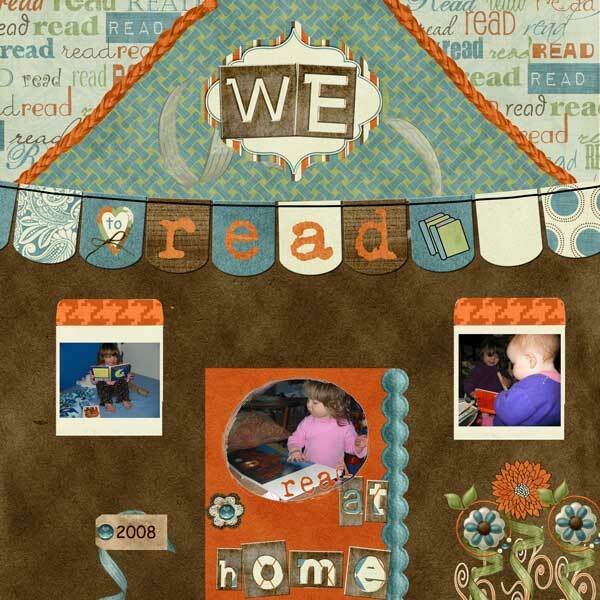 Well when Sweet Tomato Designs sent me her new kit, Bookish, that is the is the picture I went looking for. But I couldn’t find it. But I was amazed by how many pictures of the girls reading that I DO have. There are so many possibilities, especially with two little girls who are so eager to do and to learn. When Cara announced she had a new kit for us I was so excited. Then my girls came down sick. Hence the reason you are seeing this post after this kit has been released. 🙁 But better late than never right? 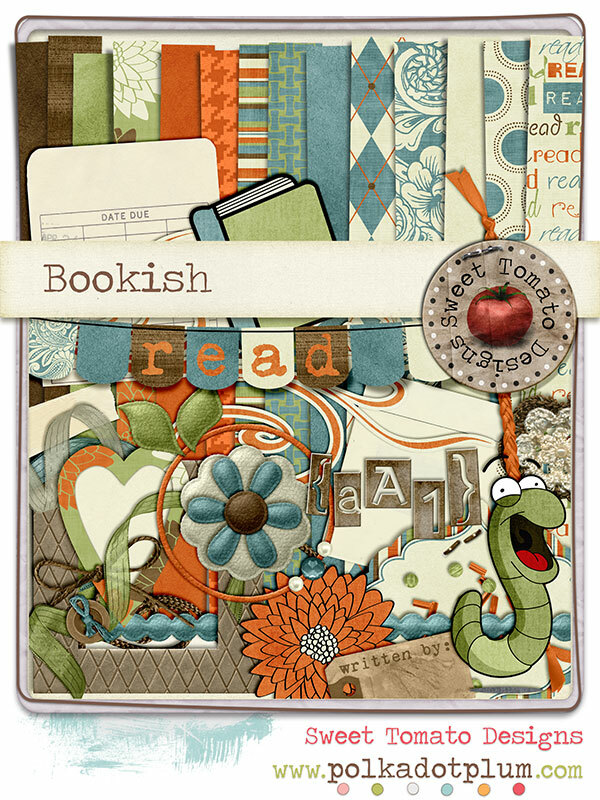 You can pick up Bookish at Sweet Tomato Designs Store at Polka Dot Plum. Here is my girls, showing off their love of reading. So go on, pick up your copy and show your love of being bookish! I’d love to see what you come up with.